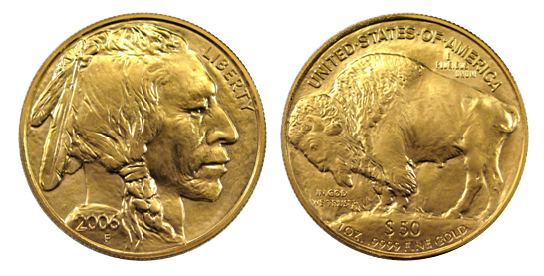 The American Buffalo coin is the only 24-karat gold coin offered by the United States Mint. It was first offered to the public in 2006. This was the first time ever that the United States Government began minting pure (.9999) 24-karat gold one ounce coins for the public. This greatly admired design is based on the original Indian Head nickel that was issued from 1913 to 1938. 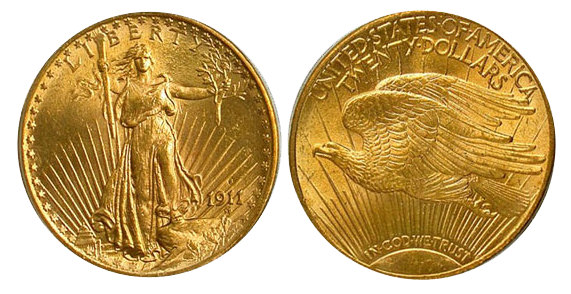 The gold buffalo gained its nickname from the American Bison on the reverse side of the design. The Buffalo has a legal tender (face) value of US$50. Proof and uncirculated versions of the coins are also made for coin collectors. Due to a combination of the coin's popularity and the tremendous increase in the price of gold since its creation the coin's value has increased considerably in a short few years.